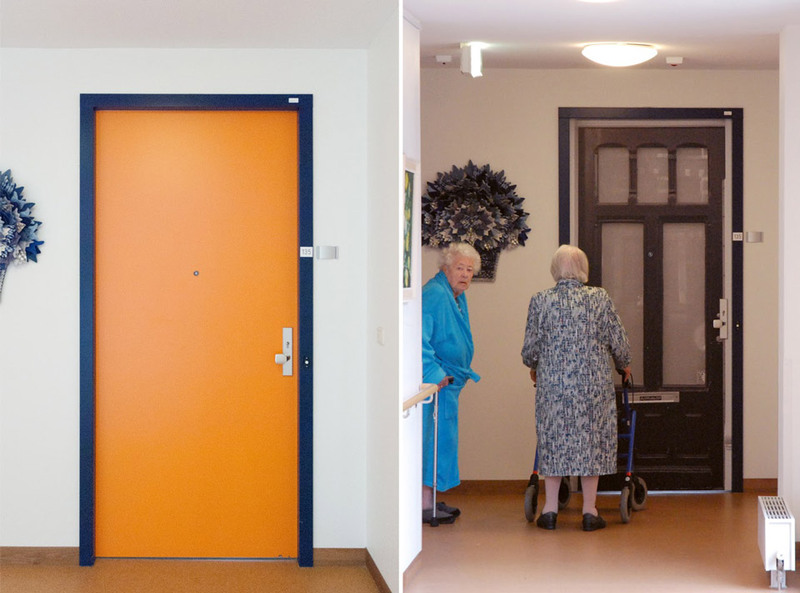 In October 2014 we completed our first project at De Weidevogelhof, one of Pieter van Foreest’s highly innovative care facilities in South Holland. 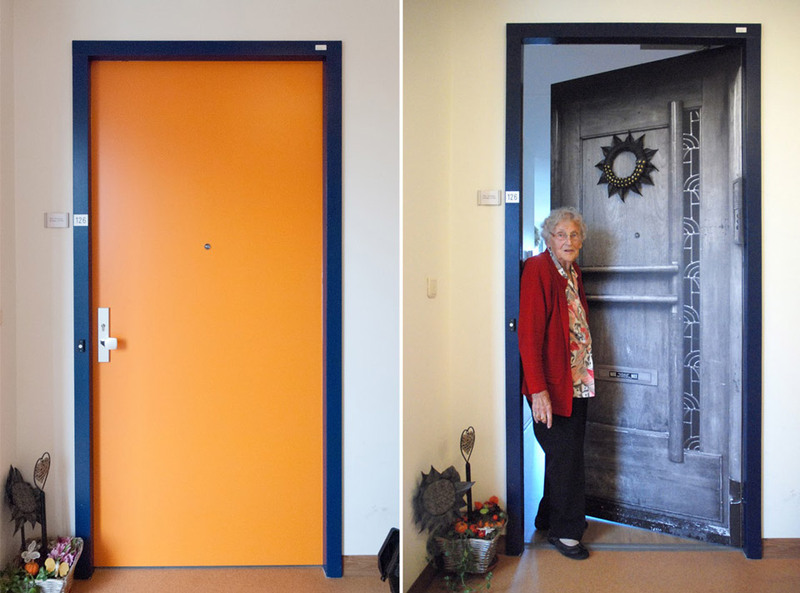 Seventeen residents received a door from our standard collection. 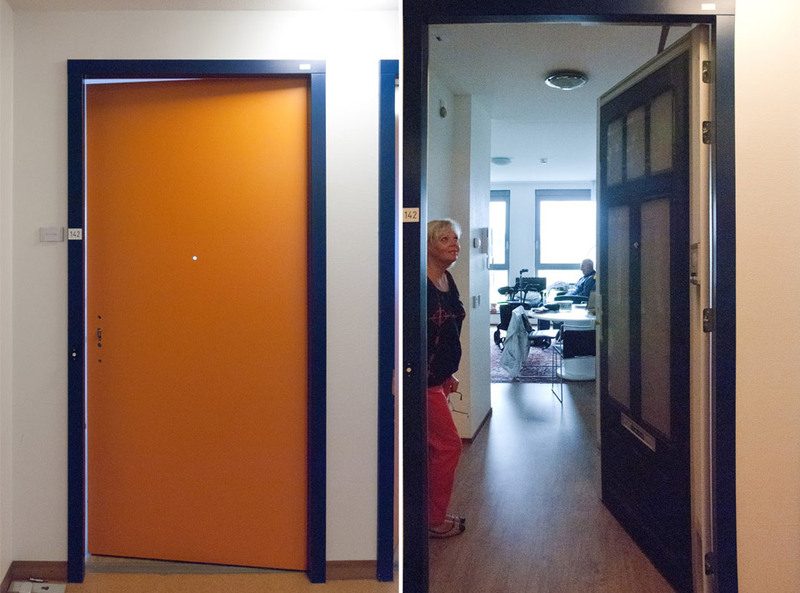 The residents typically chose True Doors that looked similar to front doors where they had lived. Five received a personalised True Door, which means we found the specific front door that most resonated as belonging to home to them. 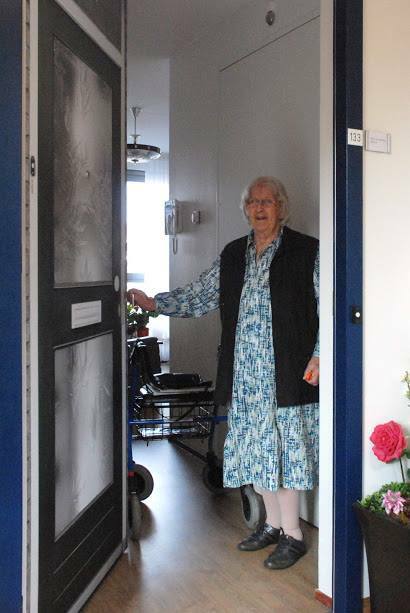 Not all residents at De Weidevogelhof have dementia. 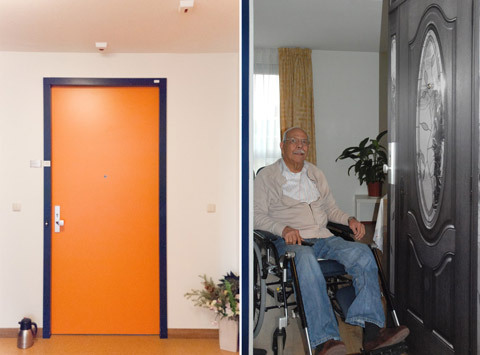 In September 2015 the Trimbos Institute published a report outlining the benefits of True Doors as a tool for patient-centered care for people with dementia. The report is available in Dutch here. Since the start of 2015 we had been focusing primarily on projects for people with dementia. The results continue to be heartwarming. 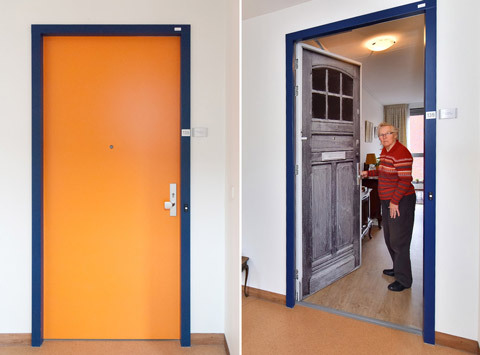 Like us on Facebook to stay-up-to-date and learn more about the benefits of True Doors through the reactions of people with dementia themselves, their family members and nursing home staff. 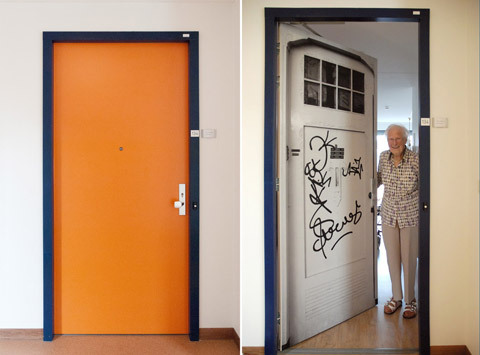 Below, a few residents give reactions to their True Doors. Get in touch if you want to know more, are interested in making a bulk order or creating your own custom True Door. I’ve had a wonderful time, living on … street. Now I live here, I miss the feeling I had there. My old place really felt like home. I love to have my old front door again. 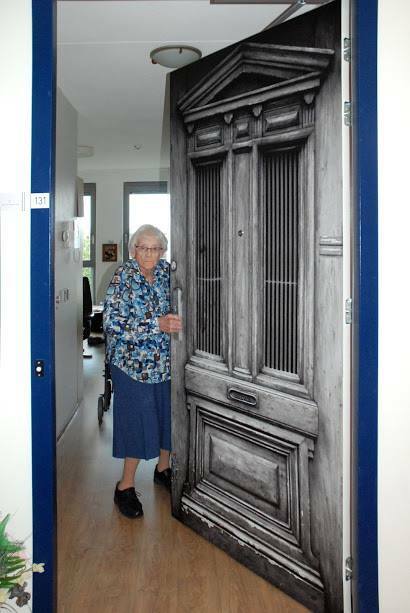 My father was a builder, that’s why this wooden door got my attention. And I really like the window. My family and I are very creative people, we all love crafts and needlework. I think it is important to stay active, especially when you are my age (95 years). The wreath on my front door is made by myself from old bicycle tubes. I also have a wreath made of sandwich bags, that one is for Easter. I really gave my door a personal touch. I lived behind that door for 30 years. From when I was one. I was a really naughty there! At age 84, I returned the front door key, because another family member has lived in that house as well. So for 83 years, I owned that key. The front door name plate was made by my father. We had a copper door bell that we often polished.. and the tiny window above the door, we had to clean that too. Boy, did I have to clean that one! I think it’s beautiful! It looks old and almost real. If I didn’t know better, I would use some paint and plaster. My new door looks a lot like my former front door. I got married and raised my children in that house. Good memories! The front door was made of solid oak and we could open the upper part, which we did when we talked to our neighbours for example. It was a pity that we had to move out of that house. 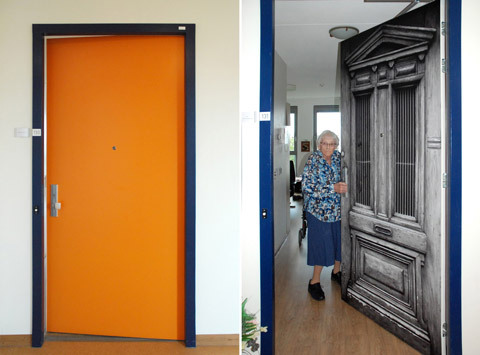 It made me think of Picasso..
She has chosen True Door Nono from the standard collection. She has chosen True Door “Tag” from the standard collection. 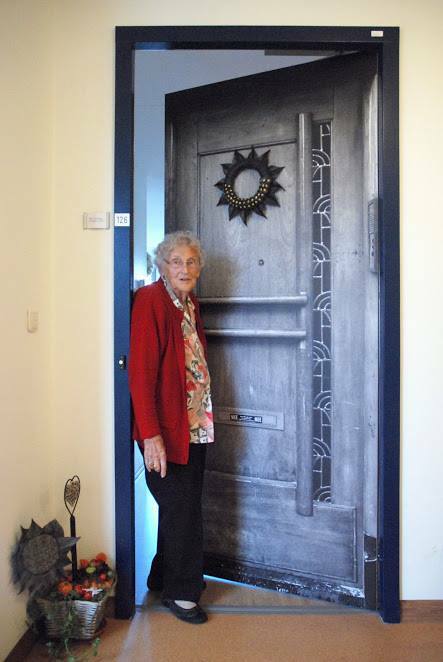 She received a personalised custom True Door. Mr. Groen has chosen True Door “Above the Shop” from the standard collection. 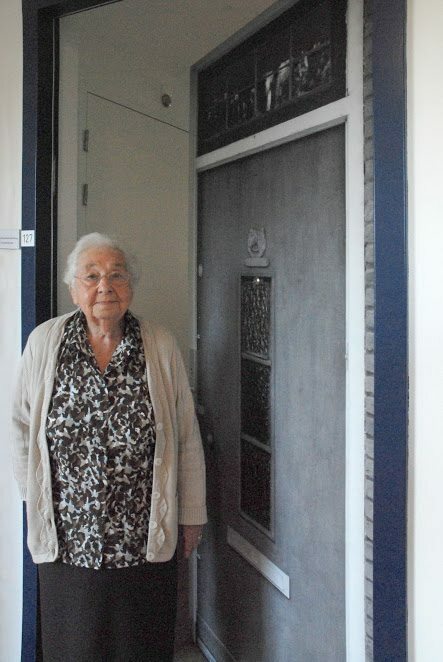 She has chosen True Door “Mini Acropolis” from the standard collection. 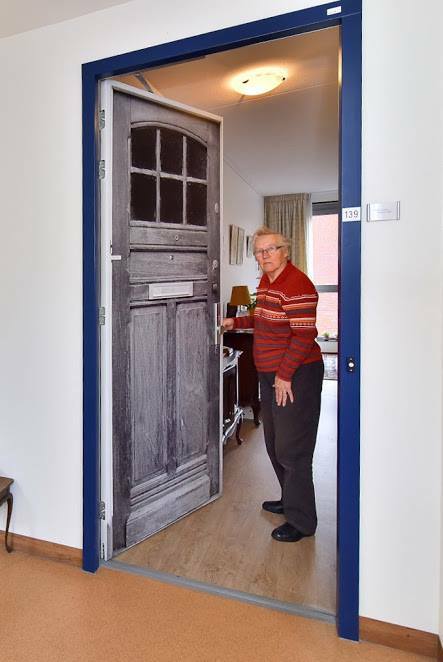 Mr. Hofman has chosen True Door “Above the Shop” from the standard collection. 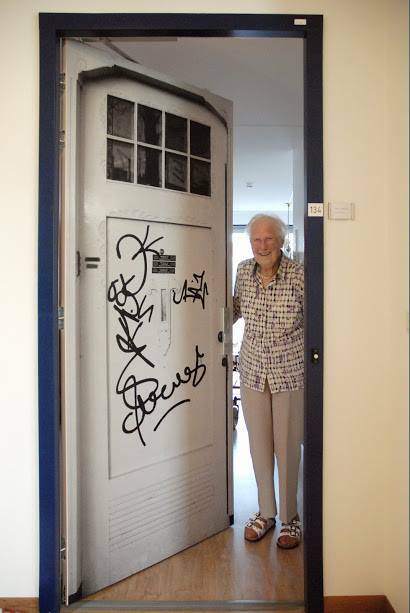 Mr. Rojas received a personalised custom True Door. 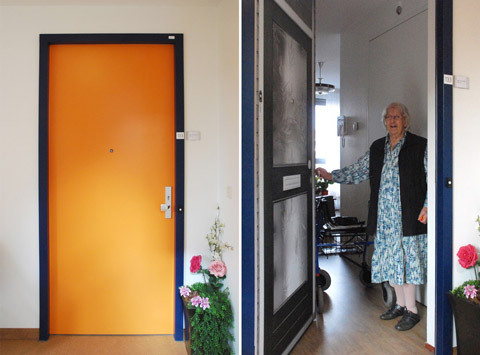 Ms. Heijningen has chosen True Door “Rehab” from the standard collection. 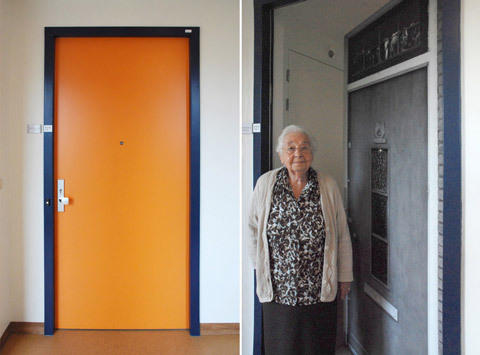 She has chosen True Door “Everyman” from the standard collection. 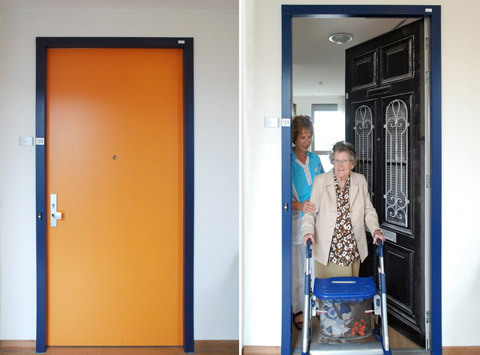 We are looking for partners outside the Netherlands to help grow the adoption of True Doors. Interested? Please get in touch at home@truedoors.com.